when she writes: BLOGGING UPDATE! How was your week? I would love to hear how all of you got on with my last post, I hope it got you out and about! I think I owe you all an apology, I haven't blogged in what seems like ages. I spent hours trying to work on a new blog design but none of the templates seemed fitting so I just went back to my original design! I'm sure a couple of you will be disappointed but at the moment I really can't afford the best, most glamourous template even though I wold like to! At the beginning of last month I pomised you all a weekly update of my life and all the cool things that I have been doing lately.... as you may have noticed there has been none of that. Mostly because if I was to show you all the 'cool tings' I have been doing recently, all I could really show you are a couple of revision text books and a girl sitting on her bed watching endless youtube videos. I don't think anyone wants to see that! As soon as anything interesting happens I will be sure to write about it and probably start a whole lifestyle series on my blog. Watch out guys becase there is a DIY post coming your way! (All I need to do is actually write the post) . I have a lot of posts planned , but to be honest what I really need is time, im sure all my fellow bloggers out there will understand that! And lastly, I think I really need to sort out my blog! I need a PROPER blogging schedule that I can stick to! Also, if any of you have any suggestions on how I can improve my blog please leave them in the below, I promise I won't be offended! 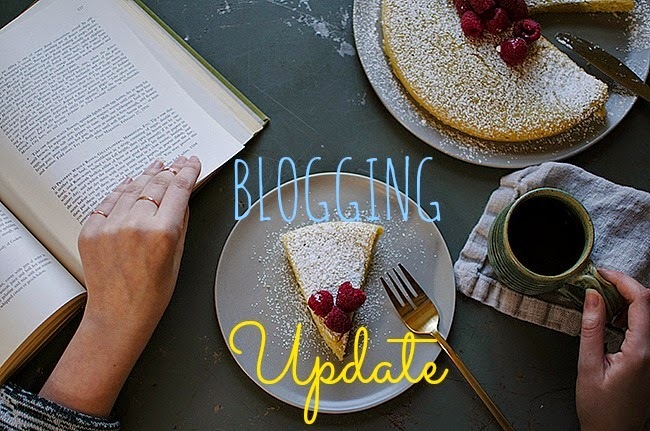 I know this was a bit of a short post and not the most eciting thing you want to read on a Monday, but I felt like I needed to sort out some of the blogging issues that I have created for myself this past week! I liked the one you tried with blue boxes that looked really cool.. I think you shouldn't worry about us reading your blog because that'll only keep you worried you should blog when you feel comfortable. Ooh yay DIY! I have been following your blog for forever and I just never commented. Silly me! I think it is amazing and you are very successful for a newer blogger. Your blog is a huge inspiration for me and I love everything about it! hello! it was nice to hear from you. I hope you're having a good day and good luck with the blogging thing! time is tough to find. lol. But I understand. also, I like your blog design! I'm trying to redesign my blog too and I failed -.- Only thing I did manage to do was to make my own header, so I went back to my original theme. But I really like your blog now and I think it's super awesome looking! :D And your posts are really always on point!